The HoopSmack Crew is finally back from an extended hiatus and we’re discussing the first quarter of the 2018-19 NBA season. Are we sure Giannis Antetokounmpo is the MVP? Do the Warriors need Kevin Durant? What’s wrong with the Celtics? Has Kawhi Leonard really changed the Raptors? Is Luka Doncic the best player in the NBA right now? We tackle all of these questions and more in episode 81 of The HoopSmack Podcast! Recorded on 12/5/2018 at Cloud Studios. The HoopSmack Crew is back and we're dicussing the Golden State Warriors' historic Finals victory sweep over LeBron James and the Cleveland Cavaliers. The HoopSmack crew is back and we're discussing our recent experience at Quicken Loans Arena, the Cavs-Celtics and Rockets-Warriors matchups, the incomplete legacy of LeBron James, and bizarre nature of the Cavaliers lineups this season. The HoopSmack crew is back and we're discussing the playoffs, the upcoming Houston Rockets vs Golden State Warriors Western Conference Finals matchup, the state of the Toronto Raptors, the legacies of Chris Paul and LeBron James, and if the Philadelphia Sixers can pull off the impossible. Recorded on 5/8 at Cloud Studios. The HoopSmack crew is back and we're discussing the playoffs, the perceived vulnerability of the Warriors, the art of James Harden's traveling, and the ascension of Utah Jazz rookie Donovan Mitchell. Recorded on 4/24 at Cloud Studios. The HoopSmack crew is back and we're discussing the playoffs, the situation between Kawhi Leonard and the Spurs, should we be concerned with the Cavs, how to defend James Harden and the believability of the Raptors as championship contenders. Recorded on 4/17 at Cloud Studios. The HoopSmack crew is back and we're discussing the playoff picture out West (0:51), the importance of the number one seed (7:30), possible playoff format restructuring (11:39), the Eastern Conference (15:30) and the NCAA Tournament (29:05). 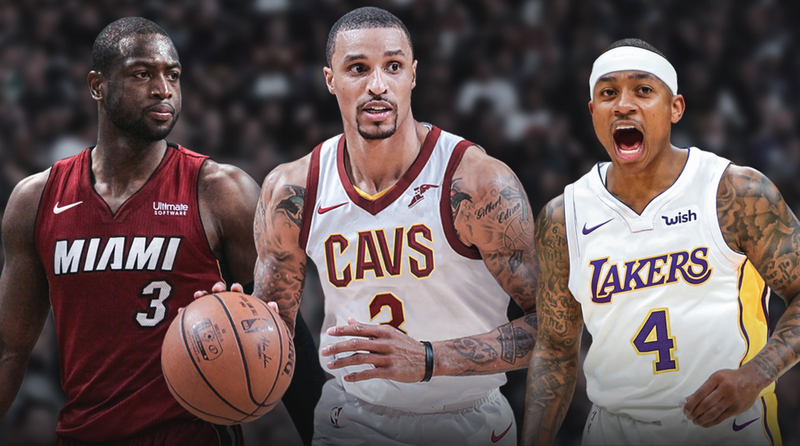 The HoopSmack crew is back and we're discussing the new Cavaliers, the long term goals of the Los Angeles Lakers, potential buyout market, and the winners and losers of the NBA Trade Deadline. The HoopSmack crew is back and we're the upcoming NBA Trade Deadline. The HoopSmack crew is back and we're discussing the Blake Griffin trade to the Pistons (3:17), James Harden's historic 60-point triple double (26:57), the All-Star Draft (49:01), the Cavaliers and their current situation (1:17:17) and the rift between the players and refs (1:19:21).